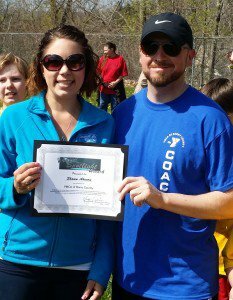 The Barry County United Way & Volunteer Center is pleased to announce the first ever Volunteer Spotlight Award winner Shawn Ahearn for his great work with the YMCA of Barry County. The Volunteer Spotlight Award is a quarterly award in which the Volunteer Center is shining a spot­light on an extraordinary volunteer within our community; someone who has gone the extra mile and deserves a little extra recognition to let them know how great they are doing. 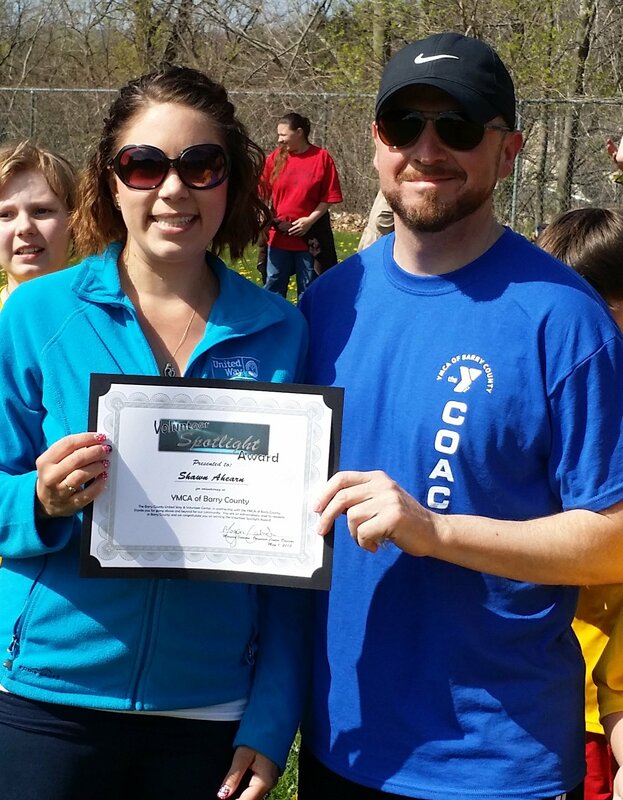 Morgan Johnson, Volunteer Center Director said “This was the first ever Volunteer Spotlight award and we could not be more excited to honor such an amazing person in Barry County.” Shawn was nominated by the Barry County YMCA for giving his time back through coaching multiple sports throughout the year, for multiple years. Tom DeVault, YMCA of Barry County Executive Director said “Shawn is a positive role model, a dedicated volunteer and an enthusiastic supporter of the Y and the youth who participate. He truly fits the YMCA philosophy of teaching skills and the love of playing rather than focusing on winning and records.” We congratulate Shawn on his accomplishments and his dedication to the youth in our community. If you would like to nominate someone for the Volunteer Spotlight Award please contact Morgan Johnson at the Barry County United Way & Volunteer Center at 269-945-4010.